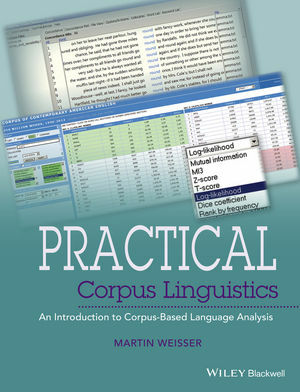 This is the first book of its kind to provide a practical and student-friendly guide to corpus linguistics that explains the nature of electronic data and how it can be collected and analyzed. Martin Weisser is a Professor in the National Key Research Center for Linguistics and Applied Linguistics at Guangdong University of Foreign Studies, China . He is the author of Essential Programming for Linguistics (2009), and has published numerous articles and book chapters, including contributions to The Encyclopedia of Applied Linguistics (Wiley, 2012) and Corpus Pragmatics: A Handbook (2014).